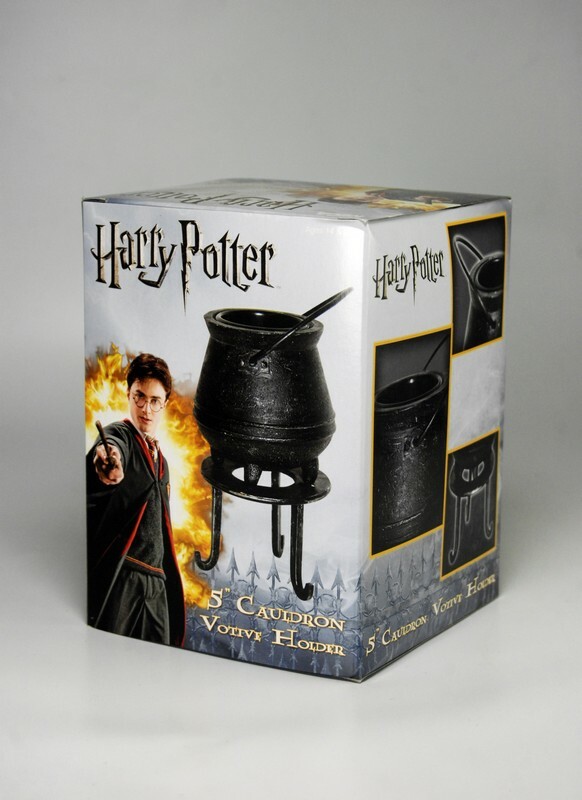 Add a magical touch to any room with this candle holder from Harry Potter! 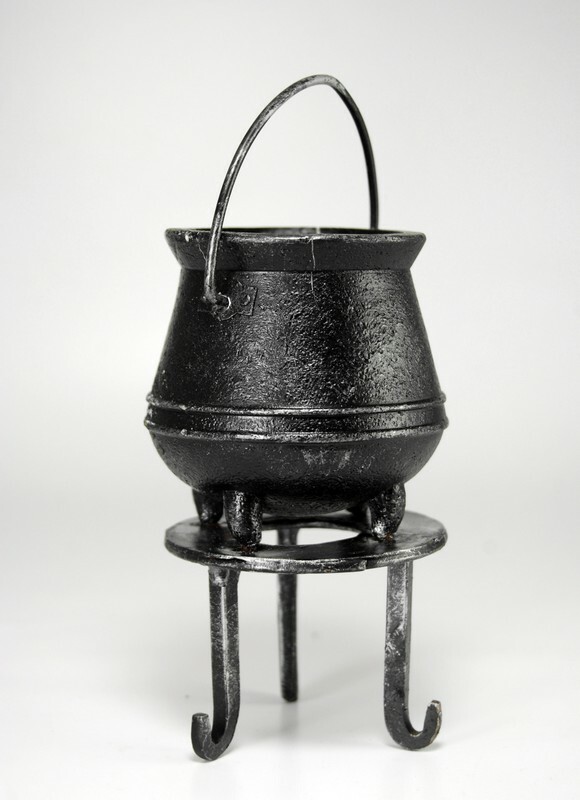 Shaped like a cauldron perched on three legs, it needs only a votive candle or tea light to come to life. 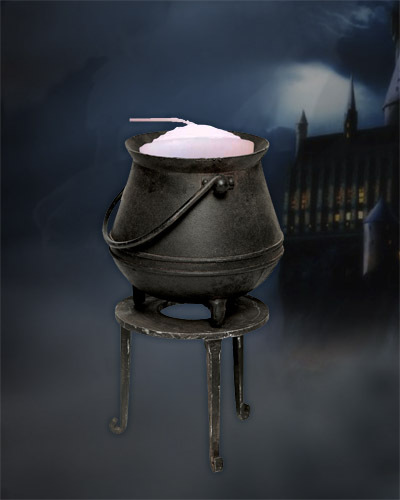 What magic will you cast in its flickering glow? 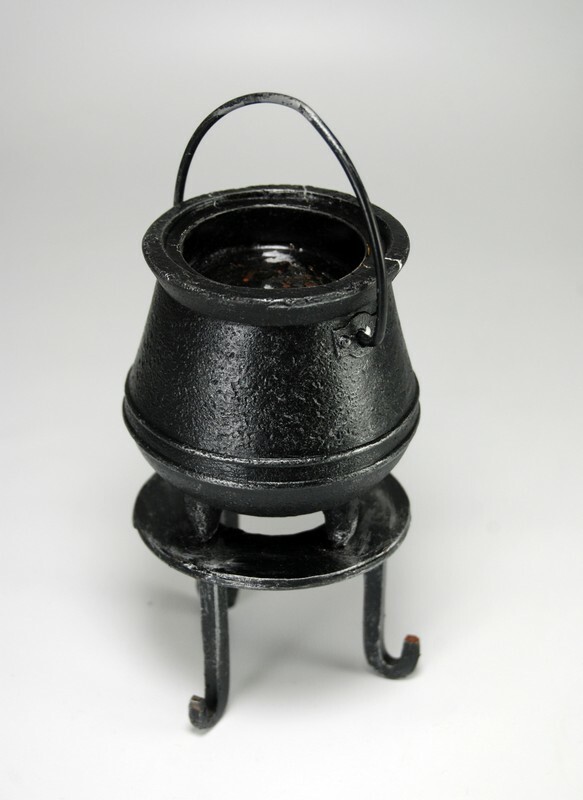 Approximately 5″ tall and made from antiqued metal.